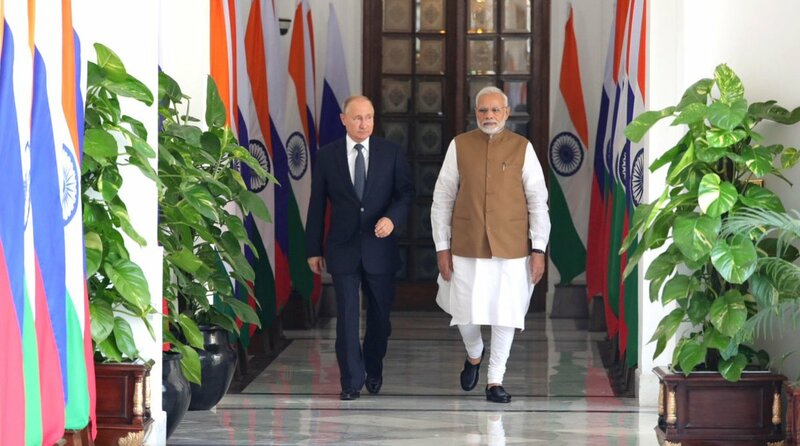 Russian sources, meanwhile, expressed hope that India would attend the meeting since it was being convened for restoring stability in Afghanistan. India is in a dilemma on attending the 9 November multi-nation meet being hosted by Russia to bring the Taliban and the Ashraf Ghani regime to the negotiating table to work towards a peace settlement. Informed sources in New Delhi said no decision has yet been taken on India’s participation at the Moscow talks. Apart from India and Afghanistan, Russia has invited Iran, Kazakhstan, Kyrgyzstan, China, Pakistan, Tajikistan, Turkmenistan, Uzbekistan and the United States to the meeting. “India had invested a lot in Afghanistan for bringing about peace in the war-torn nation. It must participate in the meeting,” they added. The Russian foreign ministry said on Saturday that the second meeting of the ‘Moscow format’ talks on Afghanistan would be held next Friday. The Afghan Government has decided to send a delegation of the High Peace Council to the meeting. For the first time, a delegation of the Political Office of the Taliban Movement in Doha would also participate in an international meeting of this level, Moscow said. However, media reports from Kabul quoted an Afghan official as saying that the Afghan authorities have not yet decided about sending a delegation to international talks Russia was planning to host. “Our discussions on this topic are still ongoing. We have not yet reached an agreement with Russia about how and when the Moscow meeting should take place,” Foreign Ministry spokesperson Sibghatullah Ahmadi said. This is Moscow’s second effort to hold the regional forum with the invite being sent to the Taliban too. In August, Russia had declared that it would host the second round of the 11-party regional mechanism with Afghanistan, with the Taliban’s participation, on 4 September. The United States was the first to refuse the invitation, stating that the meeting was unlikely to produce any result on the Afghan imbroglio. Afghanistan also declined Russia’s invite, insisting that the Taliban first hold direct talks with the regime in Kabul rather than sit together in a multilateral platform with other countries. Just two days after the 21 August announcement, Russia postponed the ‘Moscow format’ talks indefinitely. Since then, there have been intense talks over the last two months with frequent visits between Kabul and Moscow to reach a settlement.